It's a gray day here in So Cal and snowing in the Sierra, so I thought I'd post this old pic -- taken a decade ago or so at Shady Rest in Mammoth Lakes. 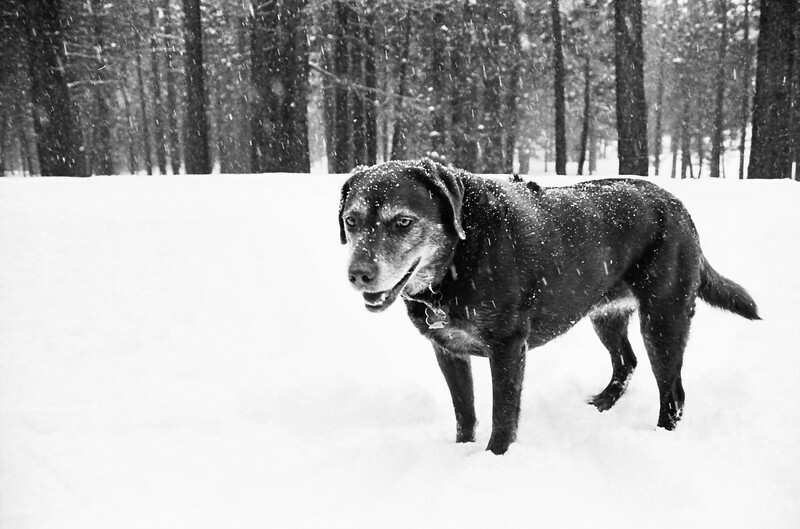 That's Molly, our chocolate lab who went to doggy heaven in 2008 after literally dozens of trips to Mammoth. Click above to see larger. I've shot a few zillion photos of my dogs over the years. The best ones always include outdoor surroundings and good light on their eyes. Please check out more of my work on my SmugMug site, where prints are available for sale (at very reasonable prices!) and license. And follow me on Twitter. This photo is © Steve Hymon and may not be used elsewhere on the Internet or in other media without the advanced permission of Steve Hymon.